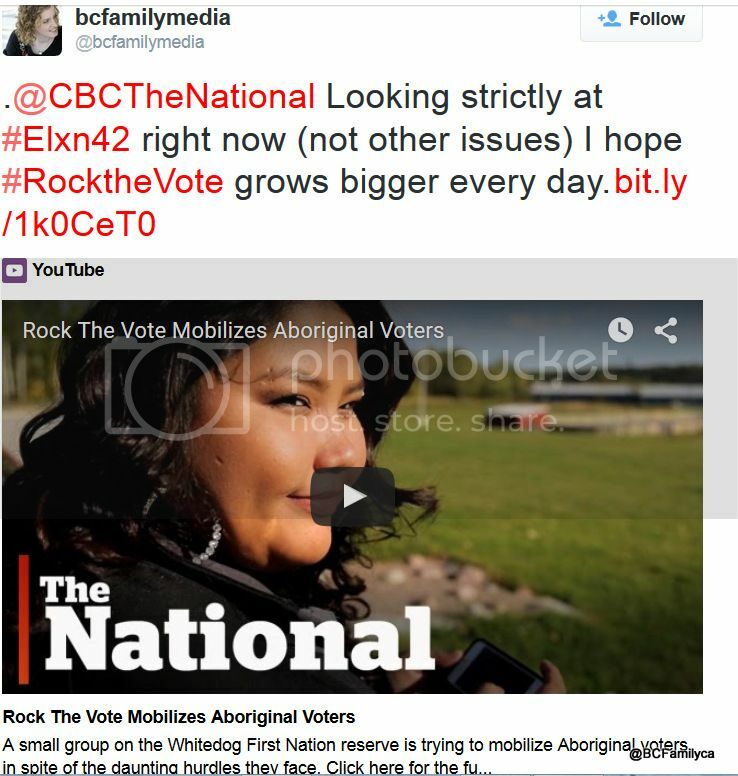 #RocktheVote is trying to help our fellow aboriginal Canadians register. If it weren’t for this important initiative, I’d say “can’t we vote already?”. Actually, I tried to vote in the advanced voting but the lineup was too long and I had a Thanksgiving dinner to prepare. Here’s an interesting overview from The Economist about Canada’s election prospects. 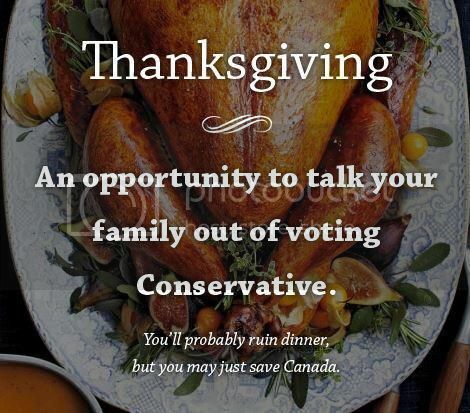 (Disclaimer – it’s not CPC sympathetic.) 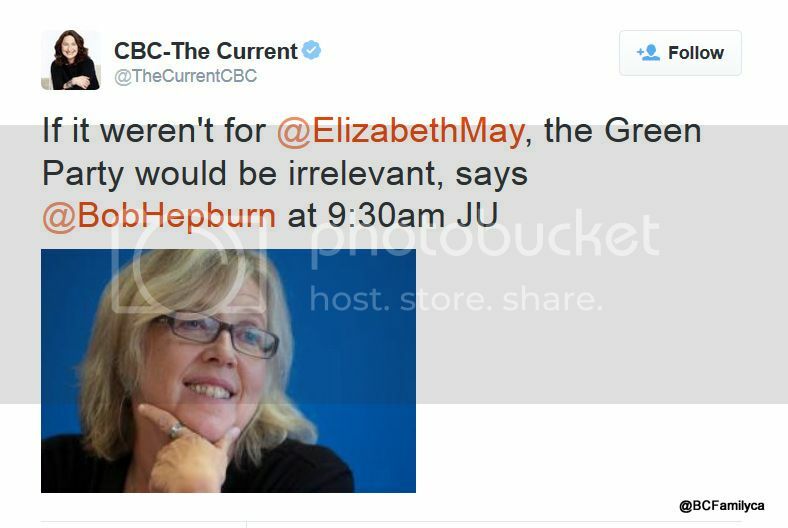 On CBC Radio and CBC Vancouver today, I encountered two grim assessments of the Green Party of Canada. On the one hand I can understand the constructive criticism but I thought the coverage was regrettable. You can argue that strategic voting means that a vote for the Green Party is a waste of time. I can think of circumstances when a vote for the Green Party makes sense even if you’re almost certain they won’t win in your riding. Here in British Columbia I’d like to see more Green party federal MPs elected so that we could have an even stronger Green Party perspective on the Hill. Maybe I’ll vote for the Green Party. Maybe I won’t. But I still believe they are an important voice in the political landscape of Canada. In the Tri-Cities riding where I live in Metro Vancouver, we encounter minimal exposure to the candidates’ election campaigns. In our immediate neighbourhood I’ve seen three NDP lawn signs and one CPC sign. We received paperwork from the CPC in the mail and someone rang our doorbell and left CPC literature while we were in the backyard. We don’t know if it was a volunteer or the actual candidate. We haven’t seen or heard anything from the Green Party or the Liberal Party. This is identical to our experience in the last election. As one journalist asked on CBC today, does media coverage (including sharing poll results) serve to influence Canadians about how to vote? The adults in our family did not attend all candidate meetings. Nobody I know has been polled about their voting preference. Media coverage and (for me) posts on Facebook and Twitter that mostly share links to media coverage are the only conversations we’re hearing about the election. Content about the election on my personal social media profile is almost completely pro-Liberal Party. How are you feeling about #Elxn42 media coverage? Are all of the parties getting a fair shake? Personally I feel that media coverage and content on social media is inviting me to support a pro this party/anti that party slant. As an example, if I encounter multiple stories saying “this party is surging ahead while this other party over here is almost irrelevant”, am I going to feel confident to stay with my choice to support the irrelevant one? What if I’m a wiffle/waffle type voter? IE swing voter. I haven’t shared election content on my personal social media page because I feel people should feel free to make their own choices. The other day a question was posed to me about the election. “Who should I vote for?”, I was asked. This person won’t follow my advice, per se, but was interested in my perspective. Typical content shared on social media.